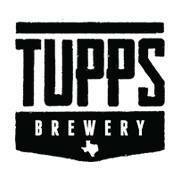 Tupps Brewery of McKinney has entered into an agreement with Ben E. Keith Beverages for the distribution of its products in and around North Texas. "To be successful in the beer business you have to, first and foremost, make great beer," says Chase Lewis, vice president of sales at Tupps. "Second, you have to present yourself well to the market. Last, but very far from least, you have to manage the distribution of your product very well. It's an incredibly difficult and important part of this industry, and Ben E. Keith has been distributing beer in North Texas with excellence for decades. We couldn't be happier to be partnering with such a strong and supportive company." The brewery had self-distributed its beers since opening in May 2015, but growth on the order of 400% in total volume over the first year signaled a need to explore other options. Lewis believes the partnership will help propel Tupps to the next level in the Dallas-Fort Worth area, as it will allow the company focus on beer, branding and building stronger relationships in the market. "Tupps has done an extraordinary job brewing a portfolio of great beers, while establishing their brands and brewery in Texas, and we are excited and honored to be chosen as their distributor," says Steve Olkewicz, business development manager at Ben E. Keith. "The Tupps approach to business, marketing, innovation and high quality beer provides us with a great foundation for a successful partnership. We look forward to the opportunity to have the Tupps brands in our portfolio, and are eager to continue the expansion of their brands in our markets." According to a press release, Ben E. Keith will begin delivering Tupps products to accounts on December 1. Counties covered by the agreement include Archer, Baylor, Bell, Bosque, Bowie, Camp, Cass, Clay, Collin, Cooke, Coryell, Dallas, Denton, Ellis, Erath, Falls, Fannin, Franklin, Grayson, Hill, Hood, Hopkins, Hunt, Jack, Johnson, Kaufman, Lamar, McLennan, Milam, Montague, Morris, Palo Pinto, Parker, Rains, Red River, Rockwall, Somervell, Tarrant, Titus, Van Zandt, Wichita, Wilbarger, Wise, Wood and Young.